As I wrap up Nostradamus and the Third Age of Mars, The Prophecies of World War III, I did an Internet Search for an article that I had read in 2014 that claimed well-known Nostradamus Commentator John Hogue was stating that Vladimir Putin was Nostradamus’ Third Antichrist. Readers can see, however, that it once existed. Perhaps it was an error and John Hogue had the page removed, perhaps John Hogue was being interviewed and gave an off-the-cuff remark. I do not know, but clearly that link existed around August 5th, 2014. When I was researching this link without digging out my archive of code, I stumbled across a John Hogue article from August 2015 where he was asked by one of his readers about an article I wrote at that time concerning Mr. Hogue’s alleged Vladimir Putin claim. He did not have some kind words to say about me; so, as someone who has been called a “factually challenged hegemon” on All-Things Nostradamus, I will respond four years later with some facts that should put Mr. Hogue in his place in cyberspace. 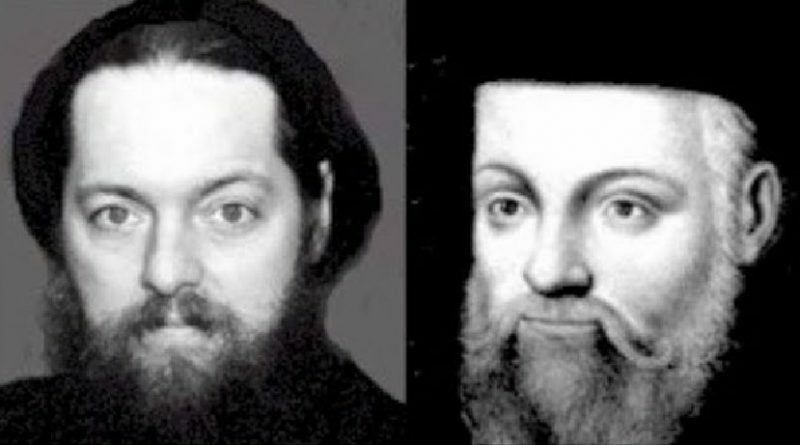 First, I began Nostradamus Commentary because of phonies like John Hogue. I have a couple of John Hogue books on my shelf. However, let me give readers the back story to John Hogue’s feelings about G. A. Stewart. John Hogue and I got into a little Email tiff on August 31st, 2013 because I dared to challenge Mr. Nostradamus after I found some questionable material on his website. The questionable material was Edgar Leoni’s solution of the Noir anagram. It solves to Roi Noir, Black King. On the page I had read on Mr. Hogue’s website, he was taking credit for making that discovery. Hogue wrote back “so what“. Ultimately, the challenge resolved to who first recognized that Barack Obama was Nostradamus’ Black King. I made that suggestion in my December 2008 Website Introduction PDF. As I recall, Mr. Hogue did beat me by several months. However, John Hogue’s position on Nostradamus’ Black King may now have changed. I do not know, because I do not follow his work. When I did follow his work, from my vantage point, Mr. Hogue’s interpretations of Nostradamus’ prophecies seemed to change with the tide. So, our Email exchange quickly degenerated through no-fault of my own, and I just did not even bother to read his last Email, because I do not mud wrestle or abide pompous fools. To this day, Mr. Hogue’s last Email remains in a folder unopened. Though I do know the day that I will open it and respond. As most readers know, I do not do Social Media or any Media. A few readers know why. I do not even bother to check up on John Hogue anymore to see what he is lifting from other Nostradamus researchers, because I do not care who is selling what on The Nostradamus Business Market. I will, however, correct any incorrect material regarding my research when I find it. Here is my open invitation to all publishers, literary agents, media organizations, or what have you, I have created the ultimate Nostradamus resource book to do my research. Pull one of John Hogue’s books off the shelf and compare notes to what you will find in my research. A partial list is below. Most English speaking Nostradamus Commentators have ridden on the coattails of Edgar Leoni’s great 1961 book, The Life and Literature of Nostradamus. The 1982 edition is sold as Nostradamus and His Prophecies. The simple test is to match the same mistakes in Edgar Leoni’s work to the work of John Hogue and others. Have these Nostradamus Experts published any new Nostradamus’ material since the first 1672 English edition? 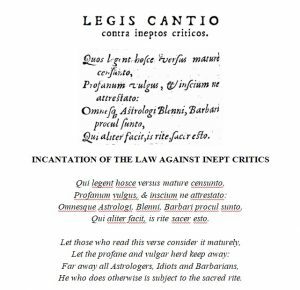 You will find four unpublished Presages below, as well as prophecies that have a history of misprinting and mistaken translations that have inspired Nostradamus Commentary for centuries, including my own. However, after I finished Nostradamus and the Age of Desolation, I finally got a hold of ten of the oldest Nostradamus editions published. I also have the first English edition. So, I built the ultimate Nostradamus Compendium of his oldest writings. You will not find this material on any other Nostradamus website. However, I am expecting the copycats to come out very soon. Mr. Hogue is one of the clowns that show up center ring when a cable channel is setting up another Nostradamus Circus tent. I do not begrudge him his schtick. Most of us love clowns. If you are in the Mainstream Media and setting up a Nostradamus Circus tent, shoot me an Email if you think your Nostradamus Expert is factually challenged. I do not do camera or voice, but you can ask questions and I do not charge. This is what Mr. Hogue had to say about me in 2015. I got an email from Garry that reminds me how falsehoods rhyme with fame. “Notoriety” and “nut” share the same first letter. A thought parasite eats the stomach walls of this whale of a Worldwide Web. I was looking at the website called Age of Desolation (G.A. Stewart) and he had a link to an article about you that made me wonder. In this article it is stated that you wrote a 489-page book called “The Russian Antichrist” (@2014?). This article further states that you claim the Antichrist is Putin. The date of this article is 3/14/14. Having bought many of your books, including the one entitled Nostradamus and The Antichrist: Code Name Mabus from 2008, I was puzzled. I have never heard of the book they mention, nor have I been able to find such on your site… nor do I remember that you definitively name Putin as the Antichrist. Have I missed something? One of the empirical signs that you are a “leading” expert is double-checking any facts gleaned off the Internet. Apparently this hegemon of Nostradamia doesn’t even do Google checks, typing in “The Russian Antichrist.” Give it a try, everybody. All you’re going to see connecting me directly to this non-existent book are A.G. Stewart’s article, this Hogueprophecy article dated 5 August 2014, and some fake article extensively making up quotes under my name posted on a wacky cyber-gossip rag based in Tel Aviv noted for its Kosher blarney. “…Walls of this whale of a Worldwide Web“, that is certainly stretching the use of alliteration. My personal favorite is “hegemon of Nostradamia“. Well, Mr. Hogue, with our previous history, and my observations about your research, it was easy to believe “some fake article extensively making up quotes“, I am glad you corrected that. Unfortunately, also during my recent search I once again discovered that you are back to stealing more material; this time mine. I associated Vladimir Putin with Peter the Great almost two decades ago. My suggestion came from The Berlin Lead Tube Prophecies. Below is John Hogue’s Putin epiphany from 2017. However, I would say that between the American Diocletian Caesar and Russia’s closest thing to a modern Czar Peter the Great, Putin is a more compassionately hard man who serves his people, whereas Trump serves one American citizen first and foremost—Himself with a capital “H.” Americans can only hope what’s good for Mr. Himself is good for them. 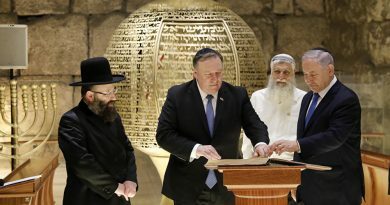 In J. R. Jochman’s book, Rolling Thunder, he published a set of prophecies that was discovered in 1944 by Nichol Rycempel, a monk, who had found a list of one line prophecies for the 20th century in a lead tube in a bombed out church in Berlin, Germany. As you can read from my Webpage, this prediction has been up in one form or another since 2008. Vladimir Vladimirovich Putin was appointed Prime Minister of Russia in August. He is going to be the next Peter the Great. Symbolically, appointed President of Russia on December 31st, 1999. John Hogue, you have not done the homework, so let me rub your face in some of my “factually challenged” research. John Hogue, face up to the reality that you will never be able to claim that you have solved any of the big Nostradamus’ anagrams. 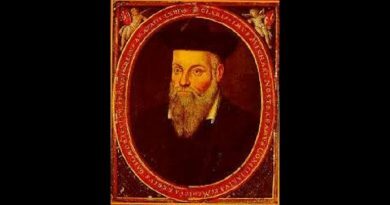 My view of Nostradamus’ prophecies is very unique. Some readers want me to give up on Barack Obama as Nostradamus’ Black King. I will, if we get to the year 2021 and Barack Obama is still just doing book tours and speaking engagements. The reality is that he is running a shadow government. 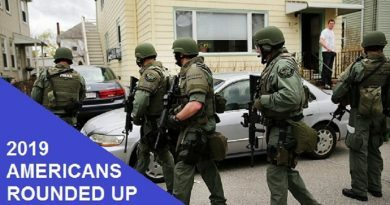 I expect some big events in 2019 and 2020. If I am wrong, I will happily retire from Nostradamus Commentary. If I am not, it will not matter. 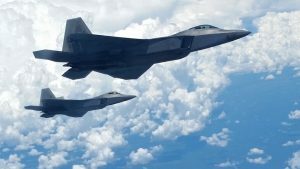 I am going in the first wave of hypersonic delivered nukes, so I will not care either way and good luck to you all. The one thing that readers will discover about my work is that it really has not changed over the years. You will only find one-hundred and forty-one Presages in every English version of Nostradamus’ “Complete Works”, including in John Hogue’s, Nostradamus the Complete Prophecies, which can now officially be renamed, John Hogue’s, Nostradamus the Incomplete Prophecies. These first four Presages are missing from that book. [The] Edict changing money and alloys. I do want to commend Mr. Hogue for getting it right on Quatrain I-40. La Trombe is La Trompe in many editions, and even Edgar Leoni got that wrong. Mr. Hogue went with the interpretation from J. R. Jochman’s book, Rolling Thunder, even though Trompe means horn. This is not the correct way it was originally printed, but Mr. Hogue did get that right. I went with Edgar Leoni’s translation in Nostradamus and the Age of Desolation because the edition that Edgar Leoni used had Trompe. Frankly, La Trombe as Whirlwind does not work, and with the printing errors that I have encountered, I may have gone the way Mr. Hogue did too. 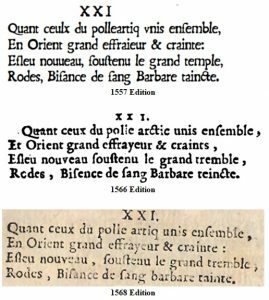 Since J. R. Jochman did not print the original Old French verse, it is difficult to know how he came up with his interpretation. I am currently going with the anagram Trump, with a Nostradamus wink to La Trombe translated as it should be, The Whirlwind. I would like to thank George Ure for pointing out this alternate interpretation and the multidimensional aspect. Trump’s motto and that of The Q PYSOP is, “The Storm is Here“. Mr. Hogue has provided some good interpretations, some I fully accept and most importantly cite when I use. However, I have corrected a number of John Hogue’s errors in my forthcoming book. I am half-way through proofing Nostradamus and the Third Age of Mars, The Prophecies of World War III. Unlike Mr. Hogue, I do not make a living providing Nostradamus Commentary, so my free time is extremely limited. Thanks for your patience. This Website will eventually become a repository of Nostradamus’ original writings.